The movies are screened free to the public in the Dub and Mozelle Richardson Theater at the museum, 1700 N.E. 63rd St. While the Oklahoma City University Film Institute has always been international in focus, both the past and current series directors have backgrounds in films and literature of the American West. The film institute’s current director, Tracy Floreani, and former director, Harbour Winn, will each curate one month of the four-month series. Film historian Elizabeth Anthony, president of Reel Classics, will curate the rest of the films in the series. One film, Peter Bogdanovich’s “The Last Picture Show” (1971), will be screened in both series as a symbol of the collaboration. 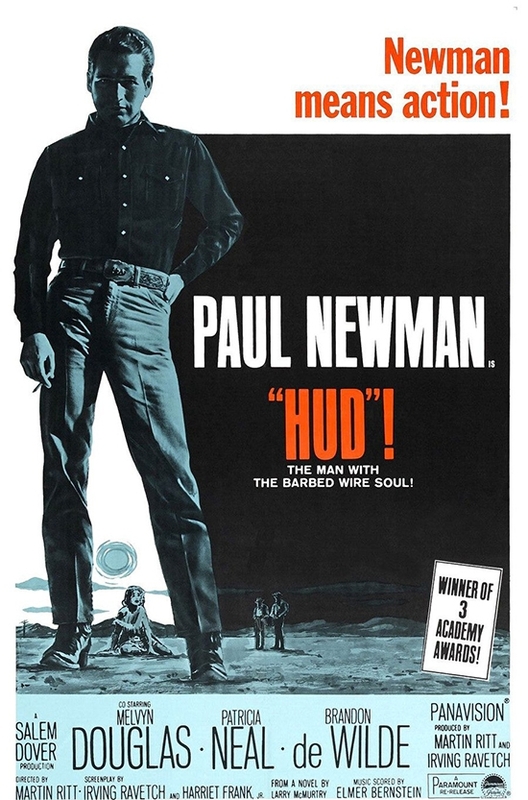 In the season-opening “Hud,” Paul Newman stars in the classic based on Larry McMurty’s first novel, “Horseman, Pass By.” Newman plays Hud Bannon, whose troubled spirit pulls the family as each of them comes to terms with the past and their identities in relation to the land. The film also features Oscar winners Patricia Neal and Melvyn Douglas. The matinee series runs Wednesdays at 1 p.m. from Aug. 1 through Nov. 14 at the National Cowboy & Western Heritage Museum, and entry is free to all on Wide Open Wednesdays, courtesy of the Oklahoma Ford Dealers. Popcorn is provided. For more information, visit nationalcowboymuseum.org/movies; or call 405-478-2250 ext. 344.